Synopsis: It's mid-august and we currently have our heads down working as fast as possible on Dream Arcade, our colorful pixel art videogame extravaganza, which launches on Friday, September 12. Videogames are a pretty new medium to us, so on this week's podcast Jenny, Chris, Francesca and Lindsay talk about the current state of Dream Arcade and what we've learned so far. 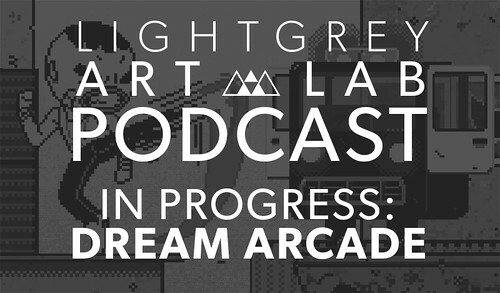 We discuss the origins of the project, painful stumbles, and exciting breakthroughs over the past several months, as well as some of the practical details when planing a complex exhibition like Dream Arcade.